Rice is the staple food of Sri Lanka and the most important agriculture sub-sector in the country. Within the last five years paddy production showed a different pattern when compared with the past 25 years. Hence the modelling recent patterns are more complex than in the past. Most of the studies on paddy production have been carried out based on descriptive statistics using short term data or based on regression analysis. But it would be more worth to do an analysis based on time series such as univariate and multivariate, because the production indicates diverse behaviours with time. Forecasting paddy production is important for planning purposes and making import policies of the government. Seasonal paddy production data from 1952 to 2015 were essentially used for this study. Time series plots, ACF and PACF graphs were inspected to identify the trend, seasonal effect and stationary of the series. 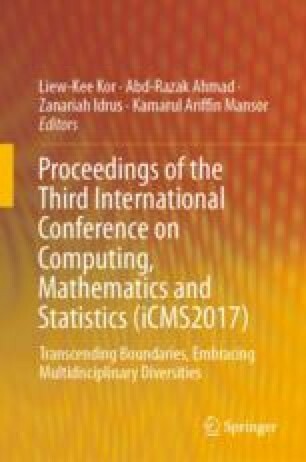 Box-Cox Transformation method was used to modify the distributional shape of the data series so as to apply time series theories. Two diverse time series approaches were developed to understand the past trends in paddy production with the purpose of forecasting future production. Mean Absolute Percentage Error (MAPE) was used to measure the prediction accuracy of two models. SARIMA model was given better forecast to the actual values when compared with VEC model.